Anxiety is a normal part of everyday life. For example, we may feel anxious on a first date, during an interview or when speaking in public. For some people though anxiety takes over their lives to the extent that they almost always feel anxious to a greater or lesser degree. 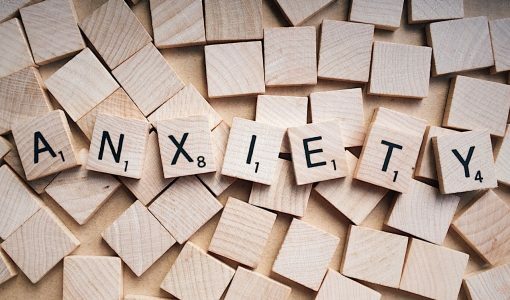 To say whether or not you have an anxiety disorder you need to look at how often you feel anxious and in what situations that you feel anxious. If you are feeling anxious in situations that would not normally warrant being anxious and overly focus on one or more issues, for example what other people think of you then you may have an anxiety disorder. So, what are the other ‘Top 10 signs’ that you may have an anxiety disorder. Anxious people often have trouble falling and staying asleep on a consistent basis. Statistics show that half of people who have a generalised anxiety disorder suffer from some form of insomnia. Another common sign is that you wake up in the middle of the night and your mind is racing, and your mind will simply not switch off no matter what you try to do. Some anxiety isn’t generalised at all and it usually attached to a specific thing, which is usually irrational in nature. For example, some people fear crowded places. The ‘tell tail sign’ is that the fear becomes over whelming and can manifest in terms of a panic attack, sweating, shaking etc. Muscle tension in your jaw from grinding your teeth, or throughout your body as a result of flexing your muscles can be a sign of anxiety. This symptom may have been a persistent ailment, so much so that people may have stopped noticing it after a time. Regular exercise can help relieve the tension, but may reoccur if a person stops exercising. Anxiety often manifests itself in the body as a physical symptom, one of which is chronic indigestion. Irritable bowel syndrome is associated with anxiety. Often people with IBS have stomach aches, constipation, gas, and or diarrhoea. Public speaking is difficult for most people, for people with anxiety it is infinitely more difficult. The fear is so strong that no amount of coaching or practice will help them out of it. People who suffer from chronic anxiety often worry for days or weeks about a particular event. If they manage to go through with it they are often very uncomfortable, and worry incessantly afterwards about how other people perceived them. People who have social anxiety often feel very self-conscious in social situations. They feel like all eyes are on them and often experience, trembling, blushing or excessive sweating. This becomes so deliberating that it often makes forming relationships difficult. Panic attacks can be terrifying, the sensation very uncomfortable as if you are having a heart attack or as if somebody is squeezing your heart. People who experience these don’t necessarily have an anxiety disorder, but people who experience them frequently almost certainly do. Reliving a traumatic event over and over again can be a sign of anxiety, more specifically post traumatic stress disorder. People with social anxiety are also likely to suffer from PTSD type flashbacks, that may not obviously seem traumatic, such as being publicly ridiculed. People who have generalised anxiety disorder and OCD often doubt themselves. They often ponder questions to themselves and become intolerant of uncertainty, that turns the questions asked by themselves into an obsession.